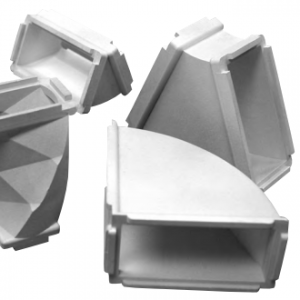 Microwave Development Labs (MDL) - RFMW UK, Ltd.
MDL is the largest independent producer of waveguide and subassemblies in the microwave industry, waveguide bends and twists, directional couplers and monopulse comparators, rotary joints, microwave filters, rotary switches. Now trading for over 50 years, MDL is the largest independent producer of waveguide and subassemblies in the microwave industry. Breadth of product range includes waveguide bends and twists, directional couplers and monopulse comparators, rotary joints, microwave filters, rotary switches and waveguide shutters, waveguide pressure windows. Products are used in far ranging applications from Space to Defence and avionics. Products are supported by a fully integrated manufacturing facility with CNC Machining, Dip brazing and environmental screening.The company is headquartered a 50,000 sq ft facility in Needham, Mass. USA . Aside from employing proprietary MDL software, computerized design systems also utilize Solid Works and Ansoft HFSS capabilities. Using Solid Works we first design a 3D model then Ansoft HFSS computes s-parameters and full wave fields, analyzes port impedances, complex propagation constants, electromagnetic fields, and radiated electric fields for open boundary problems, exporting the data for use in linear and non-linear circuit simulations. The beauty of the Ansoft system lies not only in its functionality, but in its speed, allowing us to turn your design challenges into real solutions quickly. 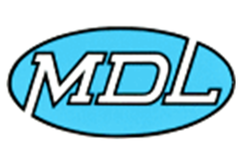 MDL’s in-house manufacturing facility encompasses CNC machining centers, aluminum dip brazing, EDM facilities, cleaning, impregnation, iridite, heat treating, RF testing, and finishing. Off the shelf items, as well as custom pieces that require special tolerances, complicated configurations, multiple formed bends, twists, or offsets are manufactured with precision, and are subjected to complete inspection and testing.